...as well as some of X's with that dash. Could Beck end up the culmination of all Mega Men? 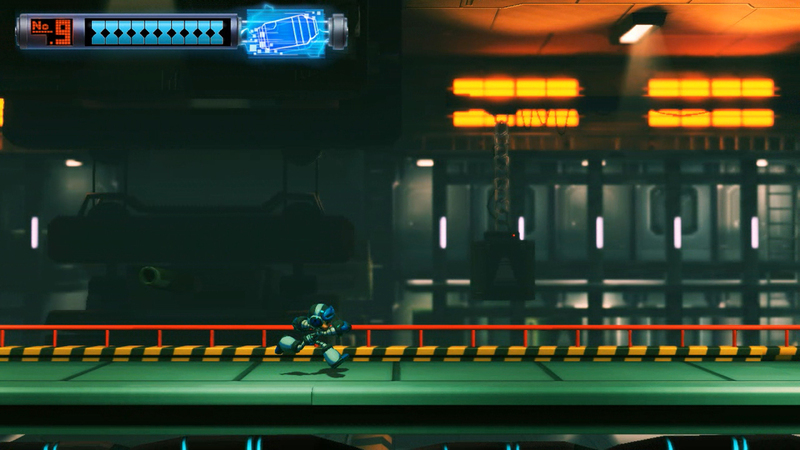 Nick also notes that "Inafune has played it and he LOVES it", as we can see in the image above. "Let me repeat that, Inafune LOVED the α2 ROM." For those wondering, we have been urged to reiterate that these screens are still "INCREDIBLY" early, and while the term "alpha" is used to describe the ROM as seen here, it's nowhere near what people in the West mean when they use the term to describe a game's development state. Mighty No. 9 is still more than a year away, so rest assured that these are still incredibly early, and we're just being privileged enough to see how it's coming along in this early state! So, with all of that said: What do you think so far? Sound off in the comments below! Mighty No. 9: The Movie?